“Whether you love to hate the Grammys or hate to love them, everyone went home happy Sunday night,” said Rob Harvilla in TheRinger.com. Correcting for the tone-deaf 2018 edition, music’s big show gave women artists some love, and they took over. 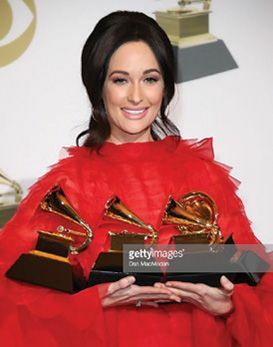 Kacey Musgraves won Album of the Year along with three other trophies, and Cardi B, Dua Lipa, and H.E.R. were among the “extremely cool” artists who took home honors on a night they helped jolt to life with their performances. Camila Cabello, Janelle Monáe, Lady Gaga, St. Vincent, Dolly Parton, Diana Ross, and host Alicia Keys also delivered memorable (if sometimes wacky) stage moments. True, Childish Gambino skipped the event at which his “This Is America” was winning song and record of the year, and the show felt interminable. Even so, “finally, for a change,” the Grammys this year was often great television.